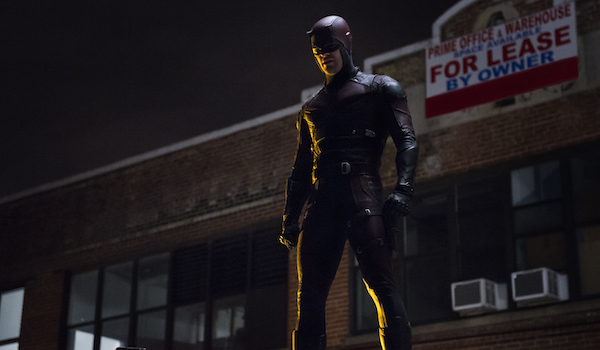 Marvel kicked off their Netflix programming earlier this year with Daredevil, and needless to say, it was a success. 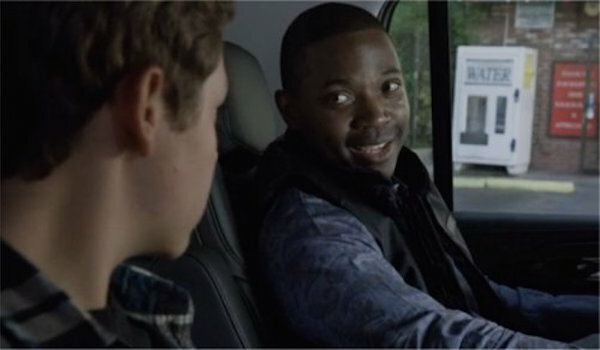 Releasing all 13 episodes of Season 1 on April 10, the show quickly earned critical acclaim in the weeks following, so it was a no-brainer that Marvel renewed the show for Season 2. 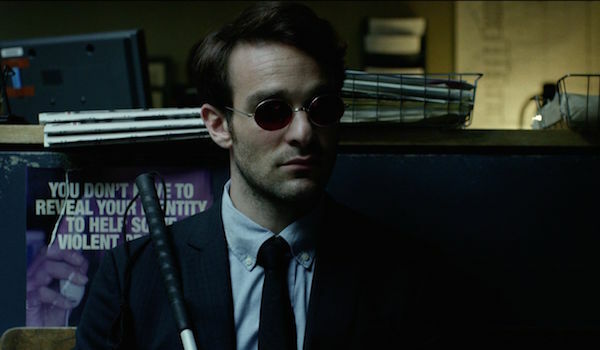 Just like the 2003 movie, the series follows Matt Murdock, a blind lawyer who battles crime in Hell’s Kitchen uses his enhanced senses (including an added radar sense) and his impressive fighting skills. Season 1 saw him dealing with Wilson Fisk, a.k.a. the future Kingpin, and they both had differing methods for how to improve their home town. Fisk has been defeated, but there are still other challenges ahead for the visually-impaired superhero. 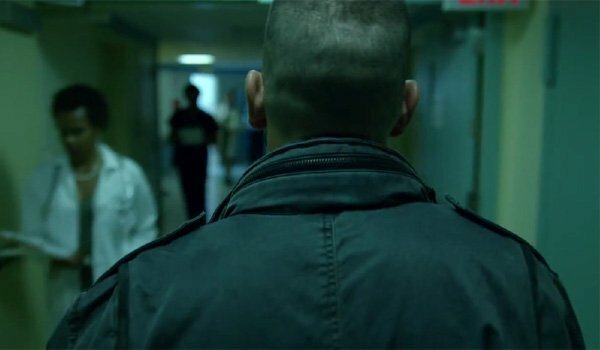 There was some teasy marketing related to the second, which gave us glimpses regarding the entrance of The Punisher and more. Recently, Daredevil finally got around to releasing the Season 2 trailer for the Netflix drama and it is pretty epic. Check it out, below. In addition, there’s still plenty of information out there about what Matt will face as the Man Without Fear, from new allies and enemies to shakeups behind the scenes. Here’s everything we know so far about Daredevil Season 2. Netflix recently announced that the show will officially hit the schedule on March 18, 2016 at 12:01 a.m. PT. This also provides a good buffer between it and Jessica Jones, which will premiere its first season on November 20, 2015. Like Season 1, all 13 episodes in Season 2 will be released at once, allowing viewers to enjoy it at their convenience, whether that’s watching a few and then taking a break or binge-watching it as fast as possible. Where Did We Leave Off In Season 1? 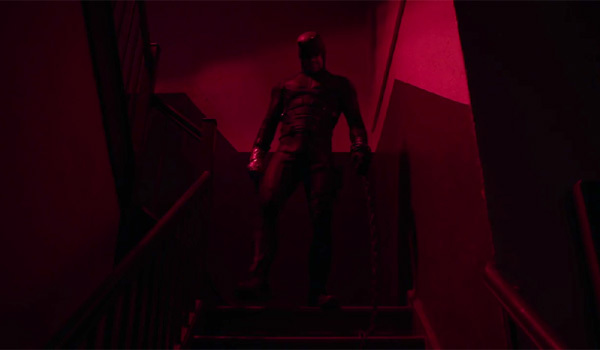 For such a dark show, Daredevil left off on a somewhat optimistic point in the Season 1 finale. When it looked like Wilson Fisk would get away with his nefarious deeds, Matt Murdock was able to find corrupt police officer Hoffman and force him to testify against Fisk. The main antagonist was subsequently arrested, but managed to escape custody with aid from his remaining employees. Before Fisk was able to escape the city, Matt cornered him and finally took down the monstrous man. Fisk is now languishing in prison with a nice white wall for him to stare at, while the good folks over at Nelson & Murdock have taken their firm to the next level with a new sign outside their office. 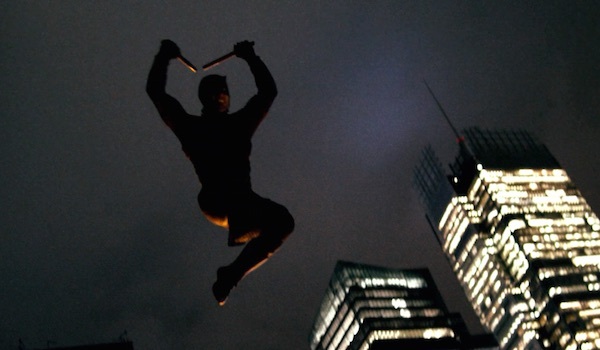 As for Matt, even with new crimson armor, his mission is the same: protecting Hell’s Kitchen as Daredevil. After Drew Goddard departed as Daredevil’s original showrunner in Season 1, Spartacus creator Steven DeKnight earned the position. However, following the renewal project, DeKnight departed the series due to other commitments. Taking his place are Doug Pietre and Marco Ramirez, two writers from Season 1 who worked closely with DeKnight and Goddard, and the duo will also serve as executive producers. From what little we’ve seen and heard, it looks like neither the direction nor tone of the show will be changing with them in charge. As for DeKnight, he joined the Transformers franchise writing room back in July, and he has another unannounced project lined up. Frank Castle, a.k.a. The Punisher, has already led three films, but for the Marvel Cinematic Universe, he’s debuting on the small screen. It was announced in June that Fury and The Walking Dead star Jon Bernthal was added as a main cast member in Season 2, and so far it sounds like he’s going to be the Man Without Fear’s main adversary. Frank will show up in Hell’s Kitchen to deliver his own brand of justice. Unlike Matt, who typically tries to keep criminals alive when incapacitating them, Frank has no problem permanently snuffing out the bad guys, no matter what the offense is. While this version of Punisher won’t be as graphic as the versions seen in 2004’s The Punisher and 2008’s Punisher: War Zone, Steven DeKnight (who is still privy to what’s happening in Season 2) said that this could the best live-action Punisher yet due to Marvel Studios finally controlling the character. 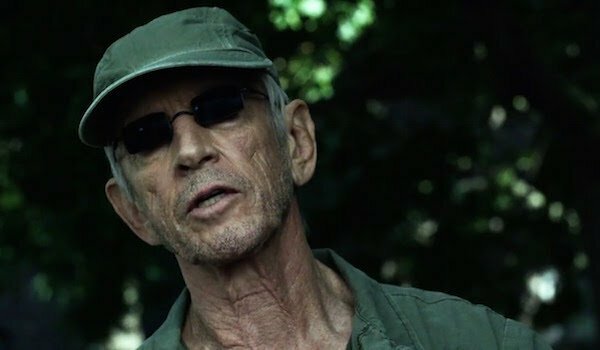 That remains to be seen, but at minimum, we can expect him to come to blows with Daredevil many times throughout Season 2, though I suspect that eventually they’ll be forced to join forces to defeat a common enemy. Bullseye perhaps? Some of you might remember mention of a Greek girl Matt had been dating in college during the episode “Nelson v. Murdock.” Fans immediately recognized her as Elektra Natchios, previously played Jennifer Garner in the 2003 Daredevil film and the Elektra spinoff. For those of you who didn’t catch the reference, not to worry; you’ll be meeting Matt’s former flame soon. Right as San Diego Comic-Con was kicking off this past summer, Marvel announced that French actress Elodie Yung will play Elektra in Daredevil Season 2, and it’s said that her “dangerous and exotic ways” may be more than Matt can handle. Although Matt and Elektra have a romantic history, they’ve also had their fair share of spats in the comics, so don’t be surprised if they get into a tussle or two throughout the season. Daredevil’s action sequences will be a good fit for her since she is already a skilled martial artist in real life, and after wielding dual swords as Jinx in G.I. Joe: Retaliation, learning how to use Elektra’s sai will be familiar territory. Like we recounted earlier, Wilson Fisk is stuck in prison after Daredevil delivered him a solid beating and ruined his reputation. 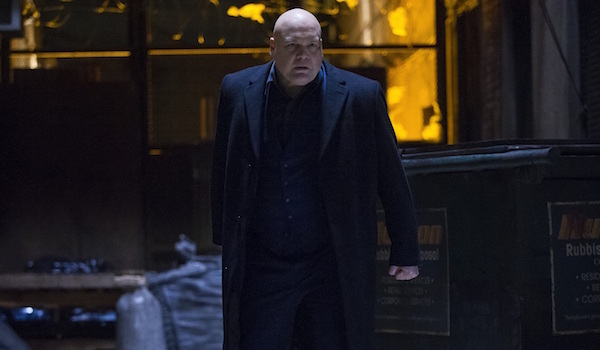 Fisk has already cemented himself as one of the MCU’s greatest villains, but as Vincent D’Onofrio said, he still hasn’t officially become Kingpin, so that’s the next big step for the character. Daredevil hasn’t officially announced D’Onofrio returning for Daredevil Season 2, but we find it hard to believe he wouldn’t make some kind of appearance - even if he isn’t a central cast member anymore. This time around, perhaps he’s more of a behind the scenes figure. It’s been heavily rumored that Bullseye will be appearing in Season 2, and like in the 2003 movie, perhaps Fisk will be the person who hires the accurate assassin to antagonize The Man Without Fear. 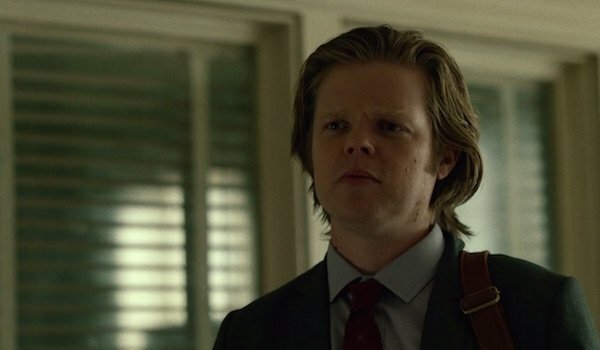 Ever since they met in law school, Matt Murdock and Foggy Nelson, as played by Elden Henson, have been the best of friends, and their bromance is one of the show’s highlights. The two went through a rough patch after Foggy discovered Matt was Daredevil, but the relationship was mended by the Season 1 finale - so Nelson & Murdock is officially back in business. Obviously Foggy will continue to act as Matt’s confidant, but beyond that it hasn’t been revealed what specifically Foggy will go through in Season 2. In the NYCC preview, there’s a shot of Foggy alongside two SWAT officers, but it’s unclear whether he’s in their custody or working with them in some capacity. Karen, played by Deborah Ann Woll, joined Nelson & Murdock after the legal duo helped exonerate her during the beginning of Daredevil Season 1, and now she’s an irreplaceable member of the firm. Karen is a caring woman, but the first run of episodes from the show gave us several hints that she has a dark past from which she’s been running away. Let’s not forget that she not only killed Wilson Fisk’s right-hand man Wesley, but revealed that it wasn’t her first time shooting somebody. Ideally, Season 2 will elaborate on what happened to her, and going further, how Matt and Foggy will react once they learn what she did. Going off their comic book history, there’s also the potential romance between Matt and Karen, though that could be screwed up by Matt learning about Karen’s past or Elektra’s return to Matt’s life. Not every new character in Daredevil Season 2 will be fighting in the streets. Over on the legal side of things, Stephen Rider from Lee Daniels’ The Butler will play Blake Tower, a New York City District Attorney who will be providing Daredevil with information. Like Bernthal and Yung, Rider will be a series regular, so we’ll be seeing plenty of interaction between him and the Man Without Fear. Given that they’re both attorneys, it’s also likely that Tower will meet Matt in his civilian form. With his reporter ally Ben Urich dead, Matt’s going to need all the help he can get dealing with crime in Hell’s Kitchen, and Tower fills that role nicely. His comic book counterpart is notable for helping many heroes in the Marvel universe, and as the inside man at the District Attorney’s office, he’ll have access to information that Matt wouldn’t be able to obtain on his own. Despite Daredevil’s renewal, so far it doesn’t look like Season 2 will have any direct tie-ins with the other Marvel Netflix offerings. 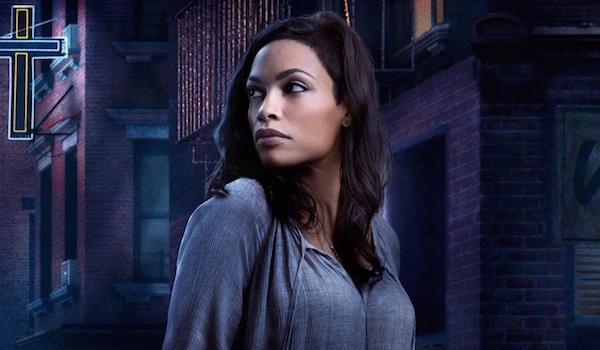 As mentioned in the last section, Rosario Dawson is returning as Claire Temple, but thanks to her new Marvel deal, she’ll also appear on the other Marvel Netflix shows, making her one of the main connective threads between these heroes. 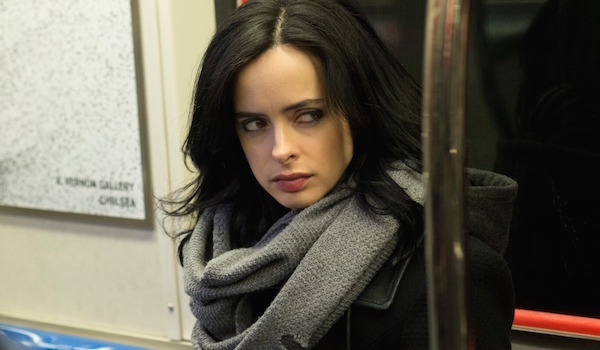 Beyond that, there’s nothing yet that suggests Daredevil Season 2 has any kind of direct crossover with Jessica Jones or the upcoming Luke Cage, although there is a new Jessica Jones ad showing that the Alias Investigations office is nestled somewhere in Hell’s Kitchen. It’s also worth noting although Kilgrave, a.k.a. the Purple Man, is one of Daredevil’s enemies in the comics, in the MCU he’s going to be a thorn in Jessica Jones’ side. However, the original plan to team all the Netflix heroes is still in place, so we’ll eventually see Daredevil alongside Jessica Jones, Luke Cage and Iron Fist in the Defenders miniseries. Also keep in mind that we may continue to see teases and Easter Eggs throughout Daredevil, like how the symbol on Madame Gao’s drugs in Season 1 was a reference to Iron Fist.